Gone are the days when it was primarily the youth who wore braces. Today, more adults are considering getting braces. In fact, over half of orthodontic patients are adults. As lifespans get longer, people begin taking greater strides towards preserving their teeth. If you are considering getting braces as an adult, you may have some fears, reservations or questions. Here are four basic factors to think about if you are considering braces. The decision of whether or not to get braces as an adult relies on more than just vanity. 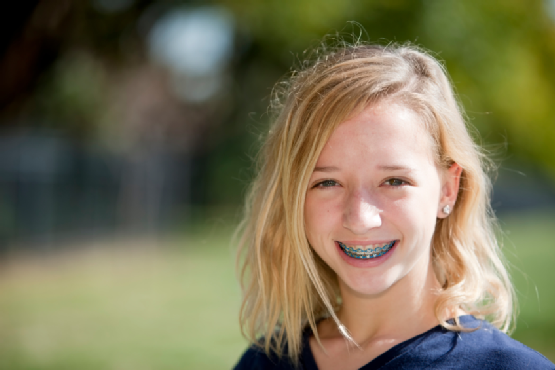 There are a number of significant reasons why you may want to get braces when older. Misalignment of your bite can have a negative impact on plaque build up and food build up. This can in turn lead to a greater risk of periodontal disease and of gum disease. Braces technology is getting more and more sophisticated these days, and now you have more options than the traditional metal braces to choose from. There are more options available for those who don't want to be a "metal-mouth" while out in the world. There are clear, ceramic braces and custom aligners available today. Each have their advantages and disadvantages. The important thing is that you know your options. For those who don't want to have a mouth full of metal, clear braces may be a viable option. Overall, they work pretty well. Downsides include the fact that the adhesive that holds the bracket can stain with smoking and with dark drinks. Clear braces are also more expensive than metal ones. Metal braces can work quicker, and so while not the most attractive option, they are generally more efficient. Clear aligners are another option to consider. These are custom fitted aligners that are removable. There are different aligners for different stages of the teeth movement. These are also more expensive than metal braces. They tend to not be the most effective for vertical problems and for people with severe bite misalignment or seriously rotated teeth. If you don't mind spending more and waiting a little longer, clear braces or the custom aligners may be a good option to consider. If you're looking for something that is more cost-effective and works quicker, old-fashioned metal might be your best option. 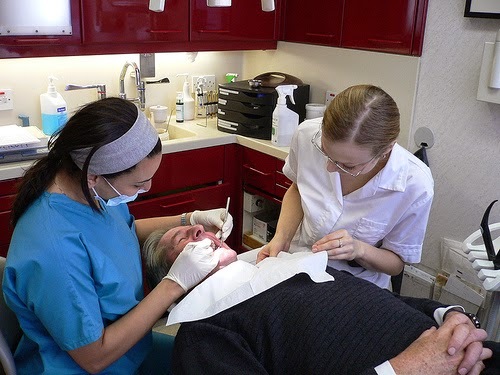 Talk with a dental professional such as an orthodontist in Calgary like those at Forest Lawn Dental Centre to determine what actions might be best for the care of your teeth.